Making ice cream colors from the snow. what do you think, is that price just right? < Oh NO, not again! Those turned out lovely. You can check Laura Wasilowski’s (sp?) site or Fiber on a Whim for pricing. I never tried to sell mine, so I don’t really know how much they are going for now. But those are very nice. How did you find out what size the pearl cotton was? i have paid up to $8 for hand dyed cotton skeins. beautiful work! Thanks everyone! Gail, this cone was marked but I have others that aren’t marked inside. A kind person on the Quiltart List is sending me a sample card of pearl cotton sizes. 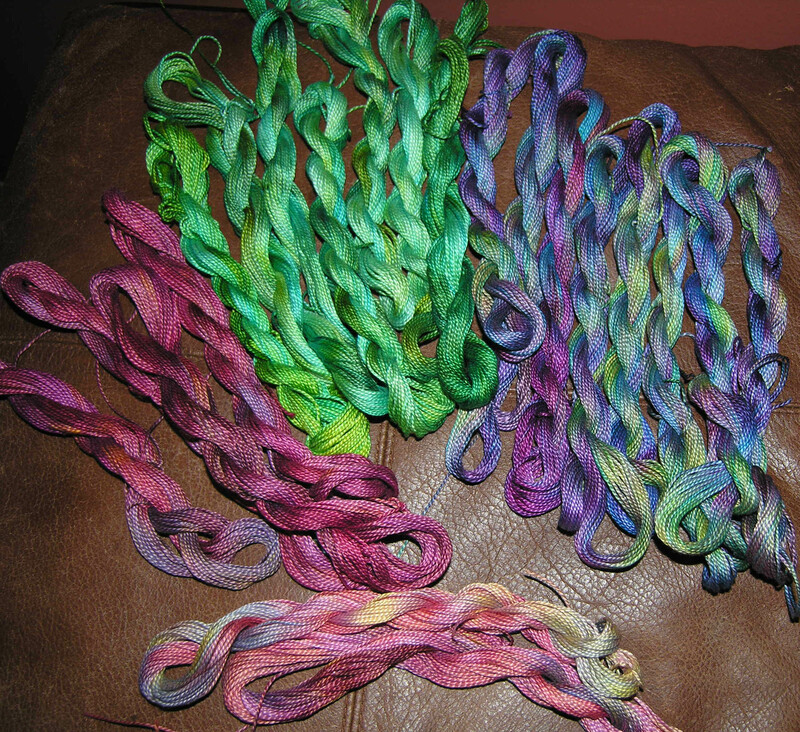 Thanks for sharing pictures of your lovely snow dyed perle cotton. I have not tried snow dyeing on thread or yarn yet, just on fabric. So, I guess is will have to set aside some of the skeins of cotton and tencel I am currently winding off for snow dyeing.